In a recent Hollywood Reporter article director Tracy Oliver, who helmed the comedy hit Girl’s Trip starring Queen Latifah, Jada Pinkett-Smith and Tiffany Haddish, wrote about a frustrating and telling meeting with movie execs. They questioned a horror film she planned to make starring black women, because they were certain that black women didn’t like horror. It’s laughable to make such a sweeping statement without having some background on the demographic, and they clearly didn’t. And why is there no background data? Because black women are underrepresented or stereotyped in most if not all areas of society, especially in entertainment. Black women rank in extremely low percentages across the board on Women in Hollywood, a site dedicated to document women’s participation in the film industry. To quote Oliver, “If I didn’t write who I was and the women I knew, who would? We’re here and we exist and we matter”. With Hollywood being a seemingly impervious patriarchal entity, we are now seeing the powers-that-be called out on the lack of representation of women and women of colour in front of and behind the camera, especially in the horror genre. Personally, I’ve always loved horror, from Brothers Grimm fairy tales as a child to whatever hits the big (and small) screen. I shared that love with my mother, childhood friends and sisters. Lo and behold, we’re all black women. Surprising? Not to us, in fact I started writing about horror for therapeutic reasons, and began to explore the critical side of the genre. At that time, I was new to the whole blogging experience and wasn’t familiar with other women who wrote about horror critically, let alone another black woman. I had always felt a sense of isolation outside my circle and was also questioned about my love for the genre; being judged for my tastes or too worn out to explain myself for the one millionth time. Enter Philadelphia’s Ashlee Blackwell. 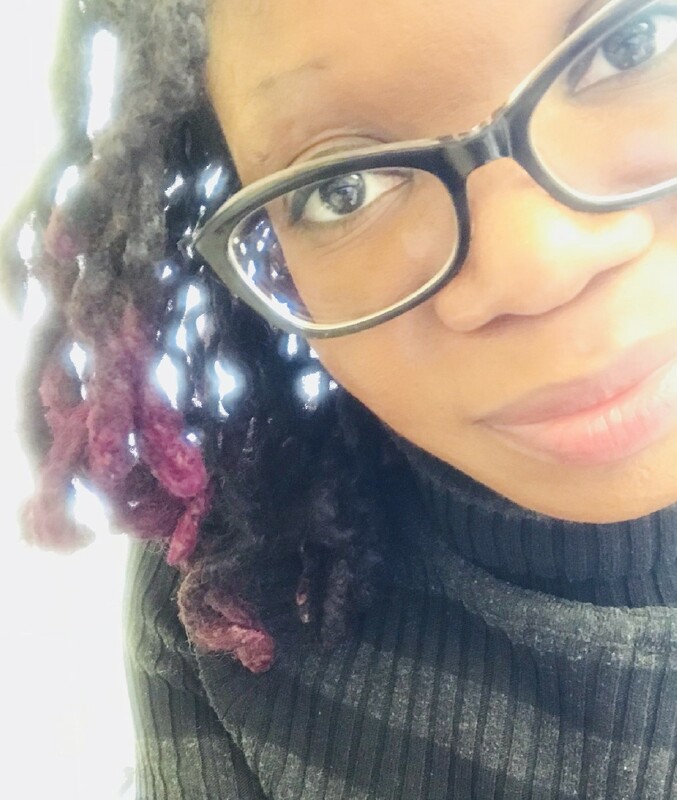 As a scholar and writer, she started her site graveyardshiftsisters.com, fuelled by her own love of horror and need to create a space dedicated to changing the attitude that black women and women of colour don’t enjoy horror as fans, critics and academics. Discovering her work gave me a sense of relief that there was someone who had a similar experience of being a black woman who loved horror in a critical light, as well as being a forum for women of colour in horror. With an M.A. in Media and Cultural Studies from Temple University, Blackwell digs deep and exemplifies her mission statement of “purging the black female horror fan from the margins”. Here, she focuses on black women and women of colour writers, actors, scholars, directors and artists (past and present) who deal solely with the horror genre to ensure we are no longer overlooked simply because of our gender and colour. On her site you’ll find movie reviews, interviews, and academic syllabuses that aim to educate visitors on the Black experience in horror. It’s with her work that she strives to create a community where women of colour can explore and better yet collaborate over our love of the genre. She’s humble in her tireless passion, usually focusing on other women creators and their work rather than her own. Lucky for us though, she’s recognized not only as an academic and digital content curator, but the social media manager and marketing coordinator for Ax Wound Film Festival, a sought-after panelist, educator, contributor to the Rue Morgue Library’s Women with Guts, and has a number of upcoming projects in the works. During this, the 9th Women in Horror month and Black History Month, and with the state of sexism and racism being scrutinized more than ever, it’s evident why Ashlee’s work is so important. Besides being an inspiration and fast friend to myself and many other women of colour, her determination makes it known that there are horror fans outside of the boy’s club, there is room for everyone in the horror genre, and that black women are here, we exist and we matter. You can find her Women in Horror Month daily celebration of 28 Black female directors at graveyardshiftsisters.com and follow her on Twitter @GraveyardSister.